After some digging, this is one of a couple of reviews I had written years ago. In Red are my 2010 comments and reflections on the show and my own hilarious writing. At this time last year, Power Rangers: Ninja Storm was receiving a less than stellar review from me. But this year’s Power Rangers incarnation is a different story. 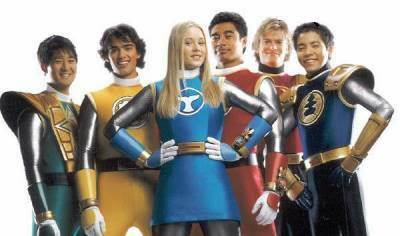 Power Rangers: Ninja Storm, the 11th season of the still popular Power Rangers franchise, began in February to a very, very slow start, and plodded along the next 20 episode with no real story. It’s a wonder what you’ll find when digging through old stuff. Ruffling through old writings of mine, I saw a couple of old reviews I did circa 2002-2003. I was in the middle of my high school years back then, but I had some pretty amusing reviews. I’ll post a few of them (the ones I’m not embarrassed about), complete with retrospective comments. Should be fun!